Nothing makes a project harder to maintain than a lot of loose wiring. That's why we like to use terminal blocks whenever making PCB-to-Wire connections. 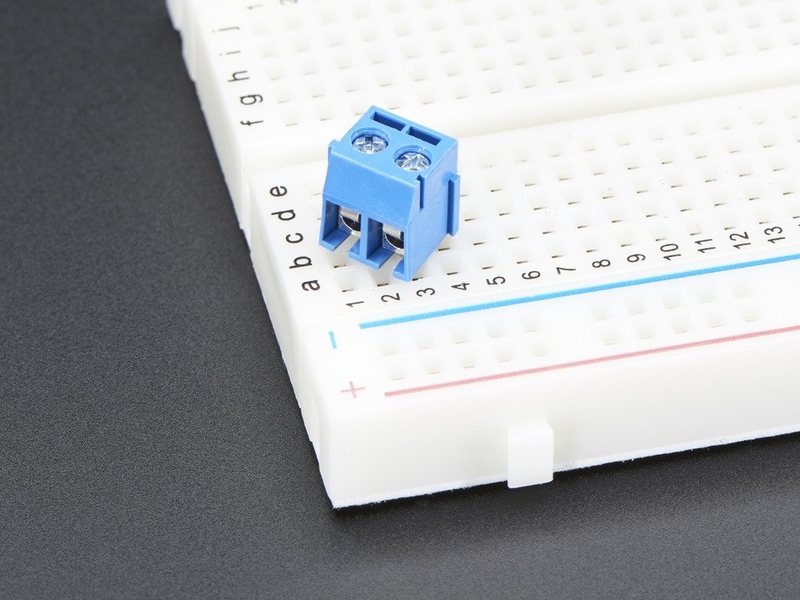 These particular 3.5mm terminal blocks are our favorite: big enough for a range of wire gauges, easy to adjust with a screwdriver, and not too chunky. 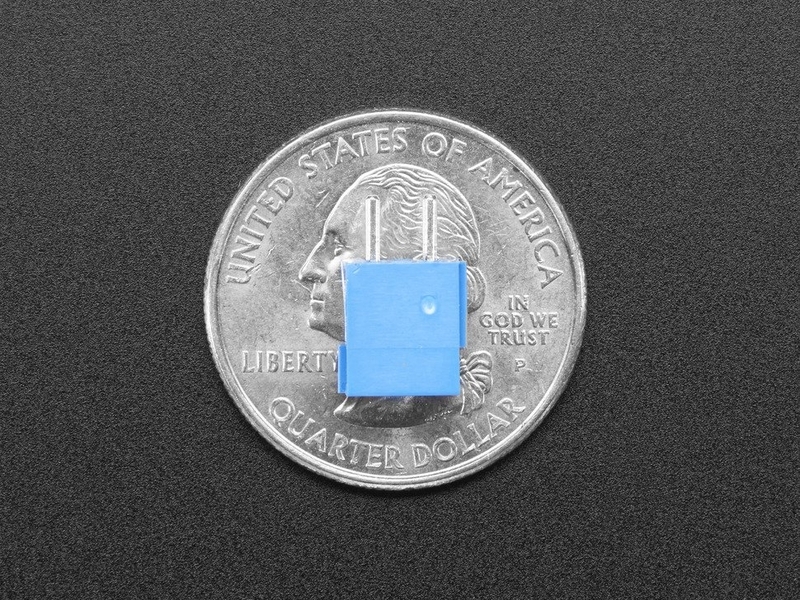 The only down-side is that they do not fit into 2.5mm spaced holes (they're 3.5mm spaced) - but they do fit in most perf/proto-board if you rotate them diagonally (see photo above). They don't fit nicely into solderless breadboards. These terminal blocks are designed to 'snap' together. You can attach as many 3-pin or 2-pin ones along as you'd like to make arbitrary length of terminal block. So useful, we sell them as a pack of 5! 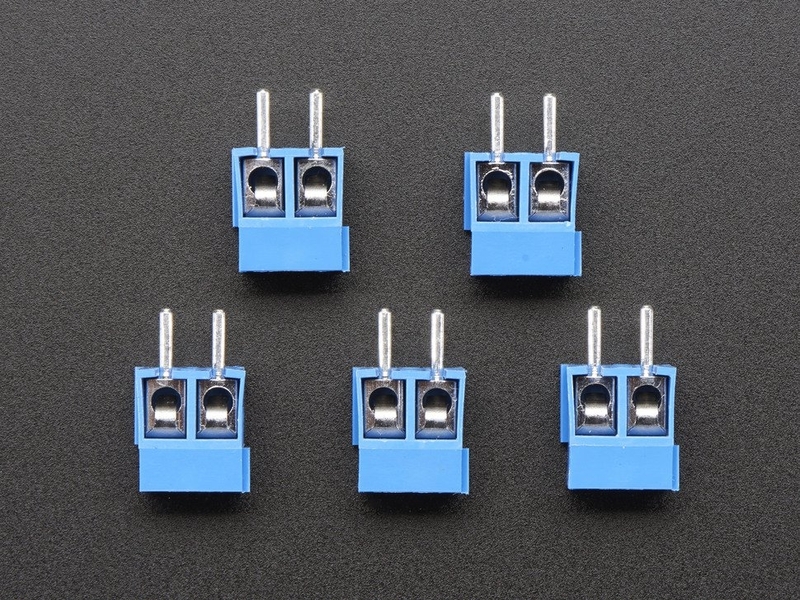 Each order will net you 5 pieces of 2-pin connectors. 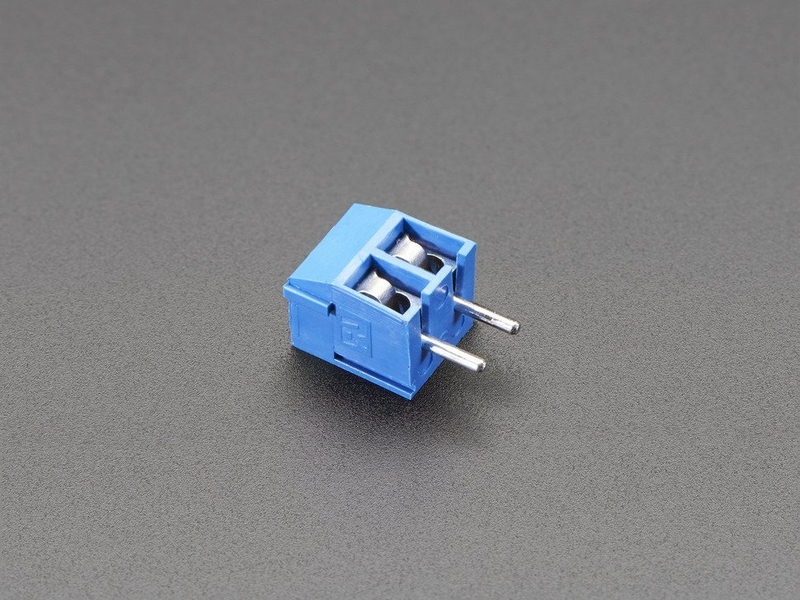 Check out our 5 x 3-pin connector pack as well.